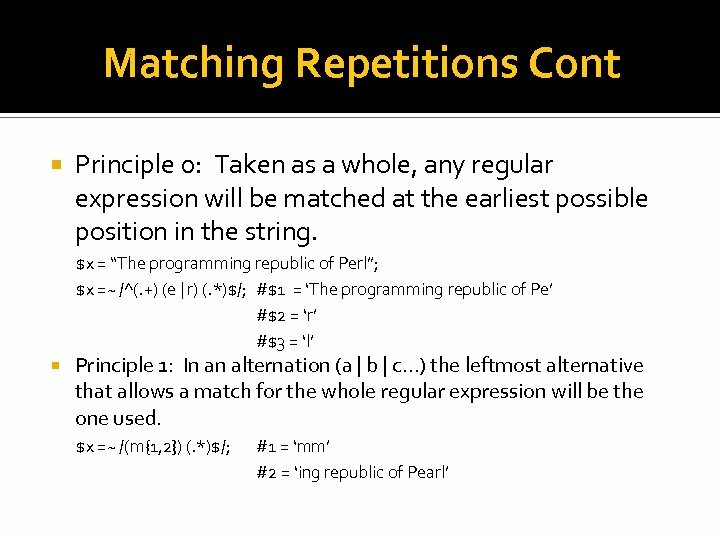 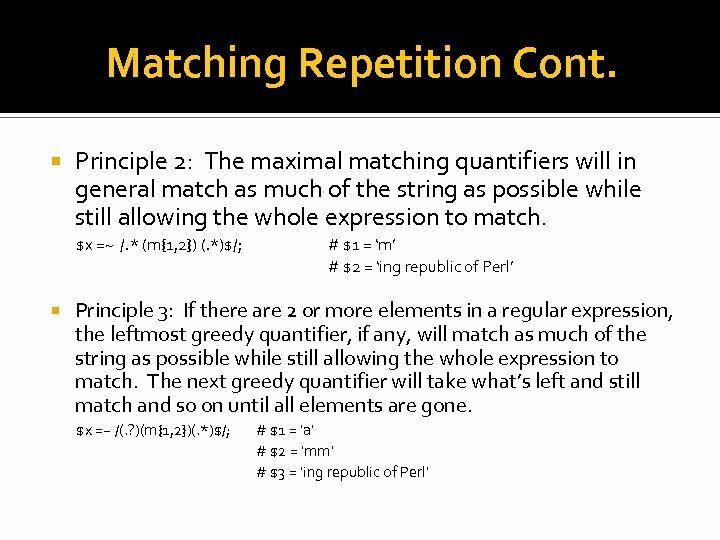 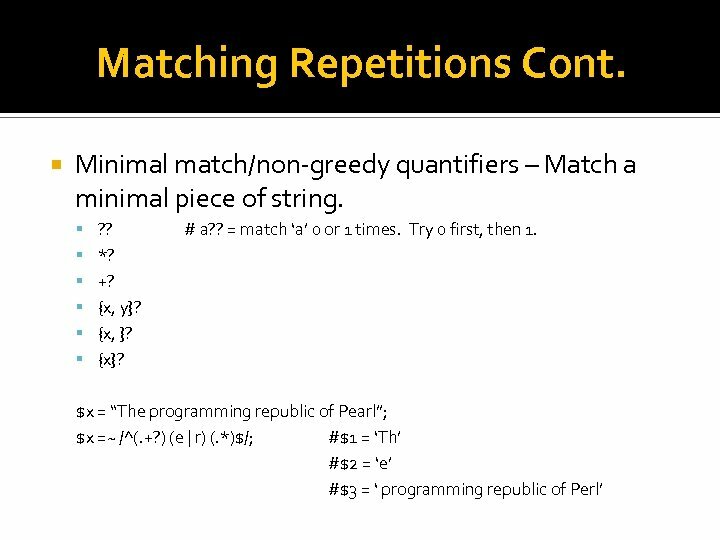 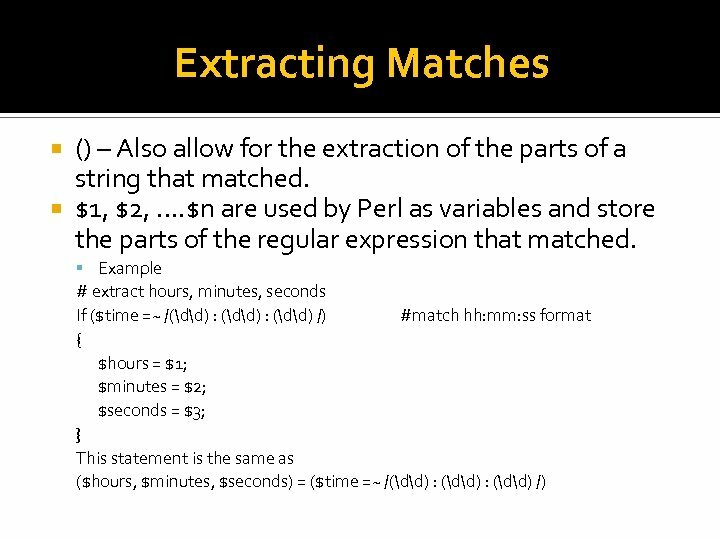 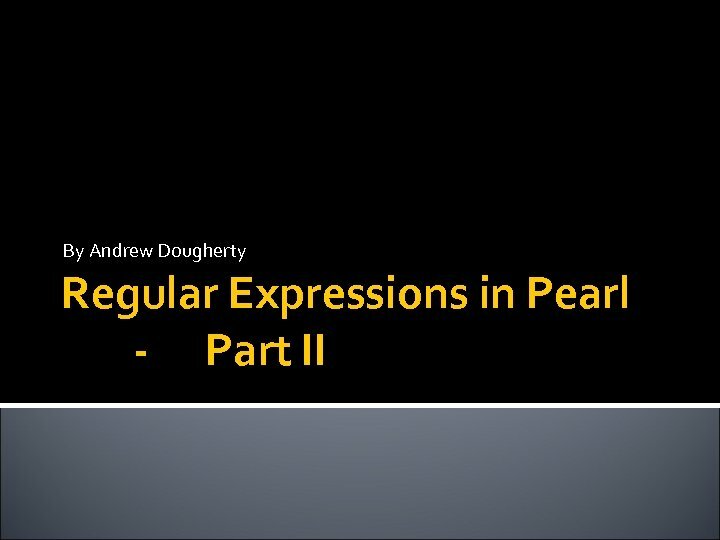 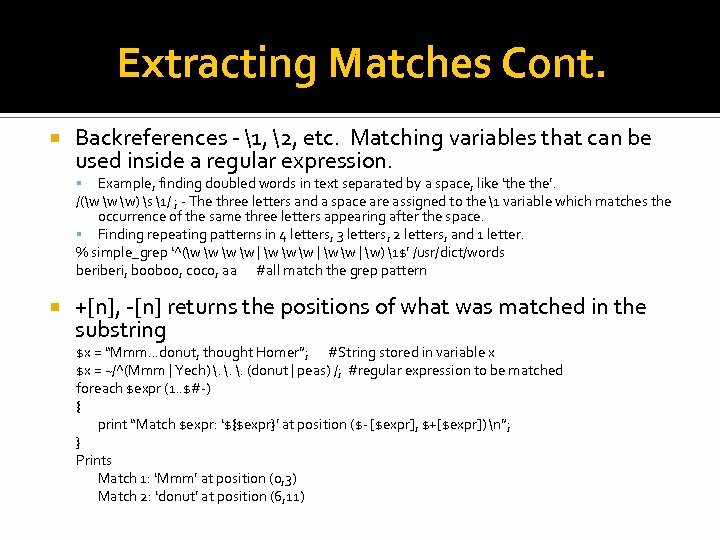 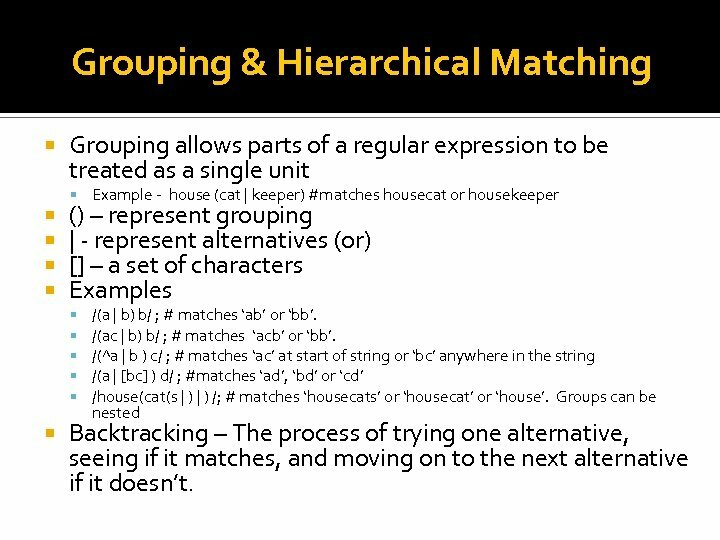 Grouping & Hierarchical Matching Grouping allows parts of a regular expression to be treated as a single unit Example - house (cat | keeper) #matches housecat or housekeeper () – represent grouping | - represent alternatives (or)  – a set of characters Examples /(a | b) b/ ; # matches ‘ab’ or ‘bb’. 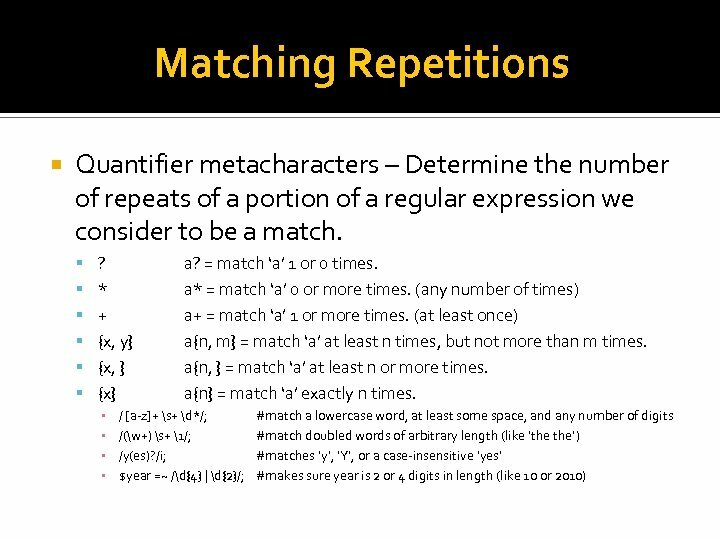 /(ac | b) b/ ; # matches ‘acb’ or ‘bb’. 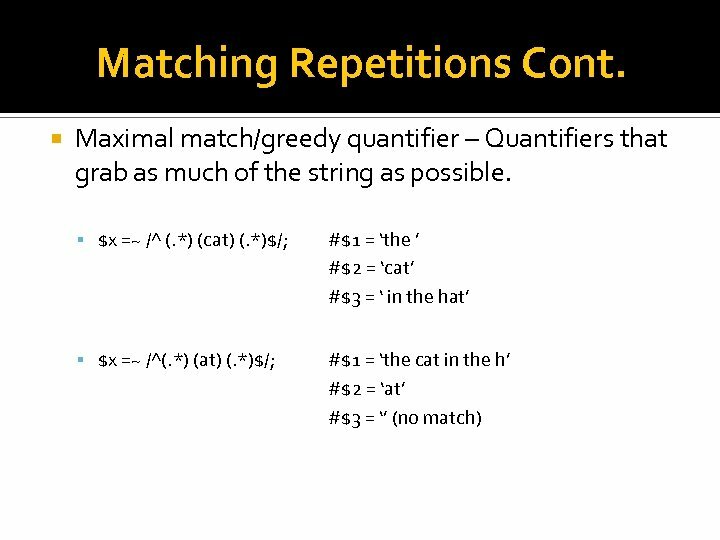 /(^a | b ) c/ ; # matches ‘ac’ at start of string or ‘bc’ anywhere in the string /(a | [bc] ) d/ ; #matches ‘ad’, ‘bd’ or ‘cd’ /house(cat(s | ) /; # matches ‘housecats’ or ‘housecat’ or ‘house’. 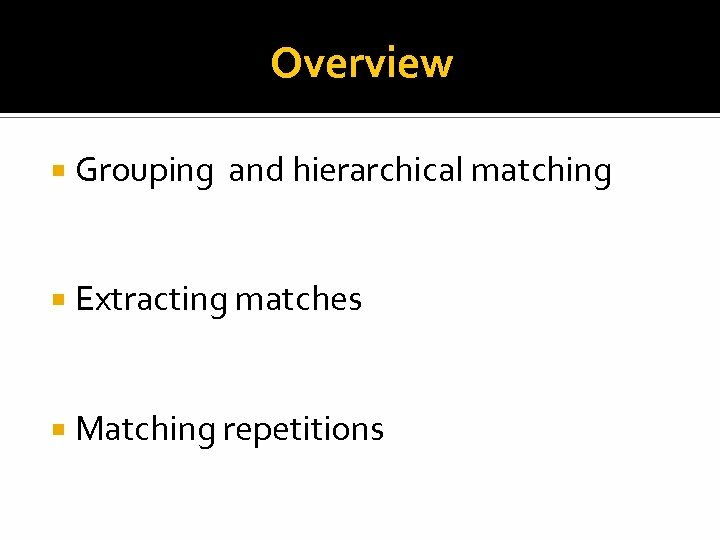 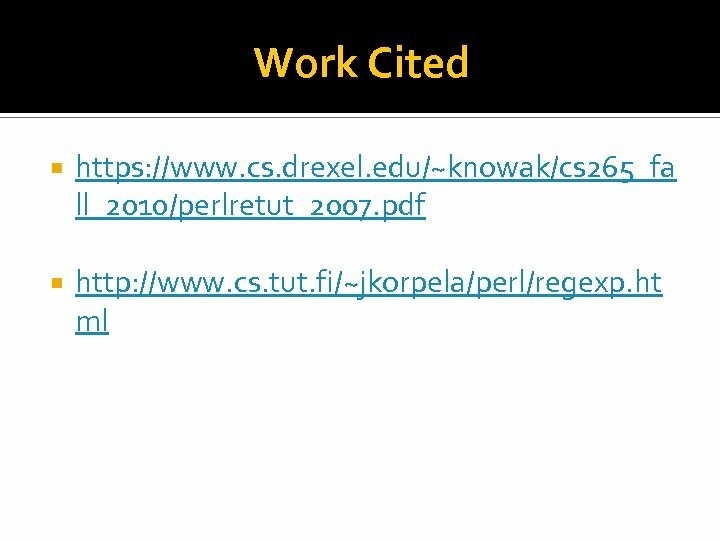 Groups can be nested Backtracking – The process of trying one alternative, seeing if it matches, and moving on to the next alternative if it doesn’t.